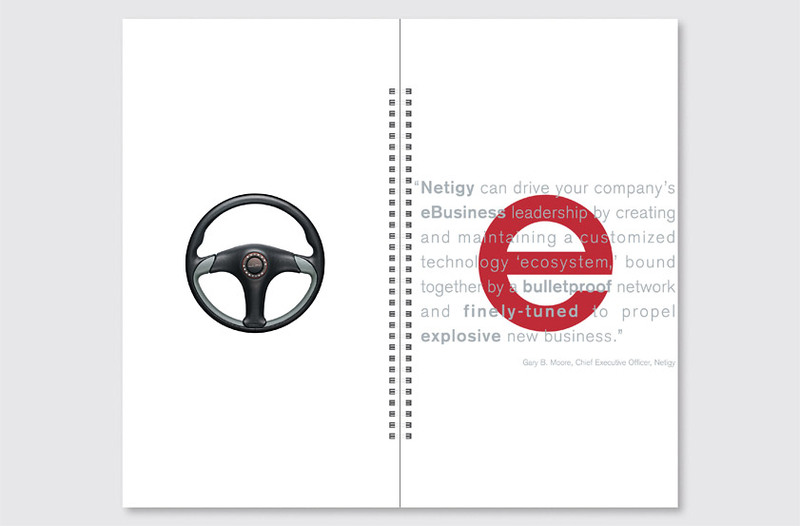 Netigy Corporation delivers eBusiness infrastructure solutions worldwide. 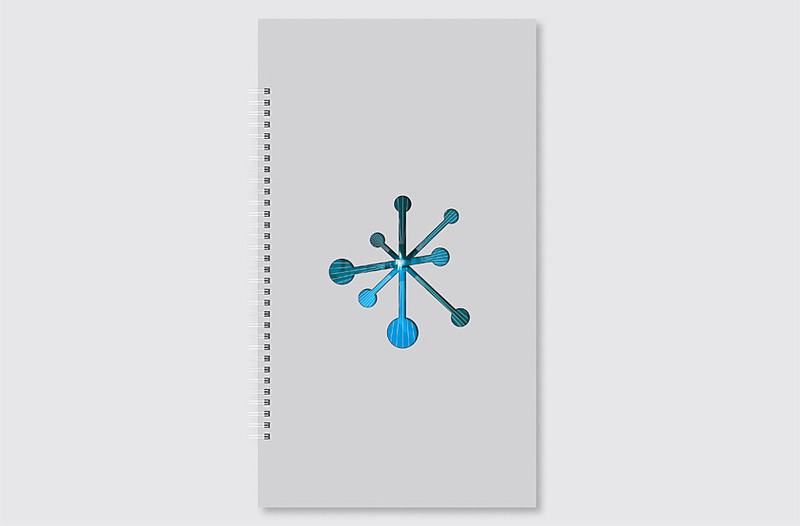 The logo represents the concept of energy, structure, collaboration, and a scientific approach to networks. 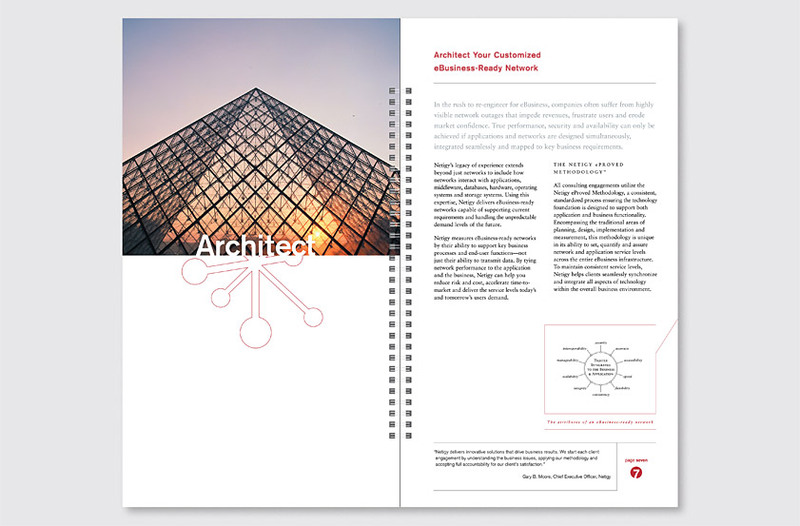 Our cover is devoid of the typical company name or type, focusing on introducing the logo and inviting curious viewers to learn about the company. 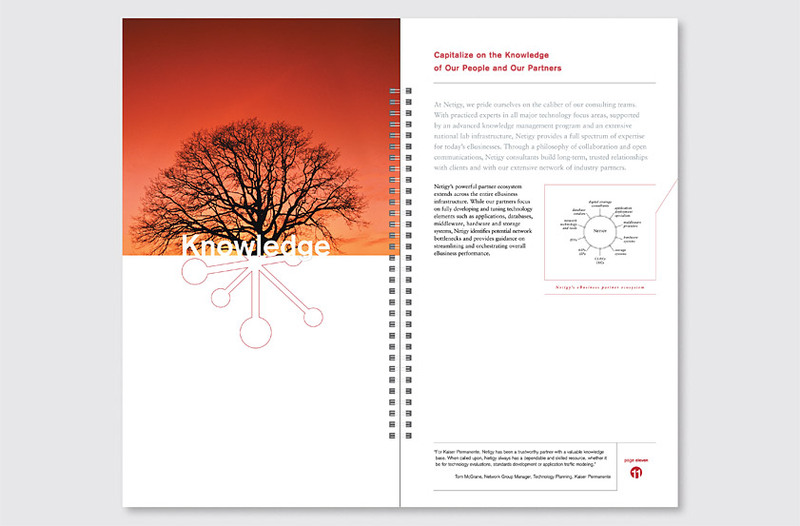 Upon opening the cover, the die-cut logo reveals the “Driving eBusiness Performance” theme and the visual analogy of driving and eBusiness. 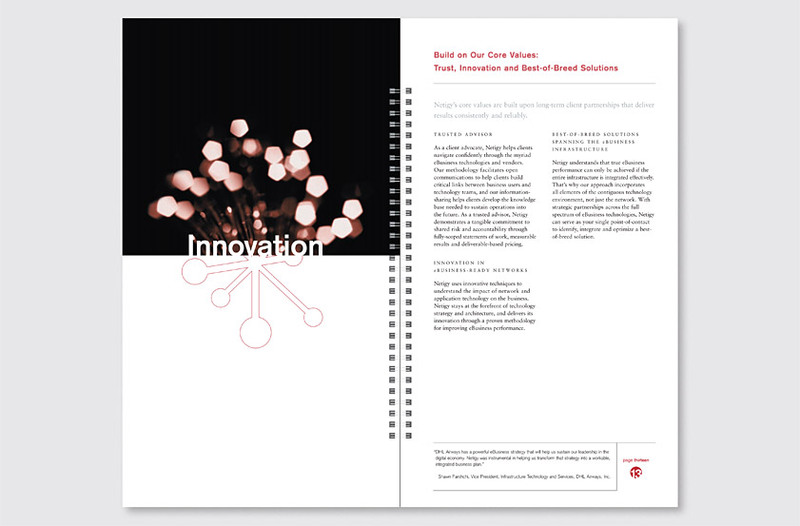 Throughout the brochure, the logo is used as a an effective metaphor to convey eBusiness themes including structure, growth, and innovation. 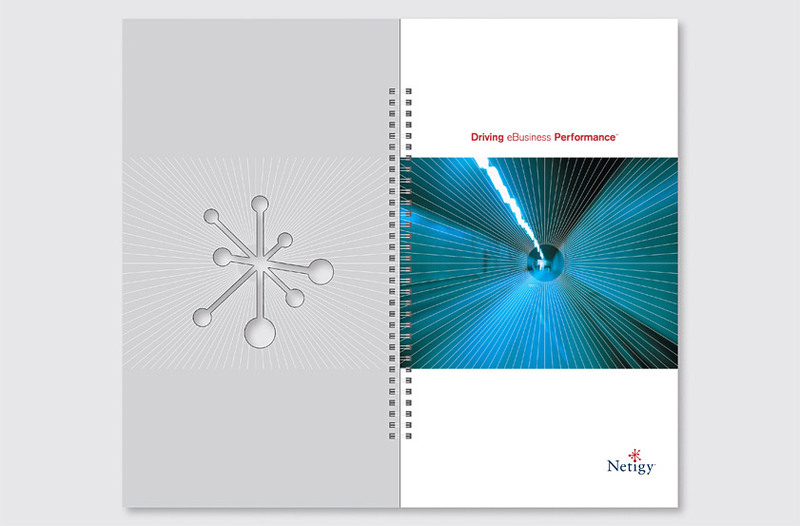 The brochure enabled Netigy to attain a leadership position within the infrastructure field.